I didn’t use many online recipes this week. Everything is from La cucina di Stevenson. This week I used a lot of leftovers in the fridge from the week before, like the black beans, sourdough bread, and mushrooms. By planning my meals around what’s already in the fridge, it accomplishes two things: 1 – save money and 2 – cuts down on meal planning time. 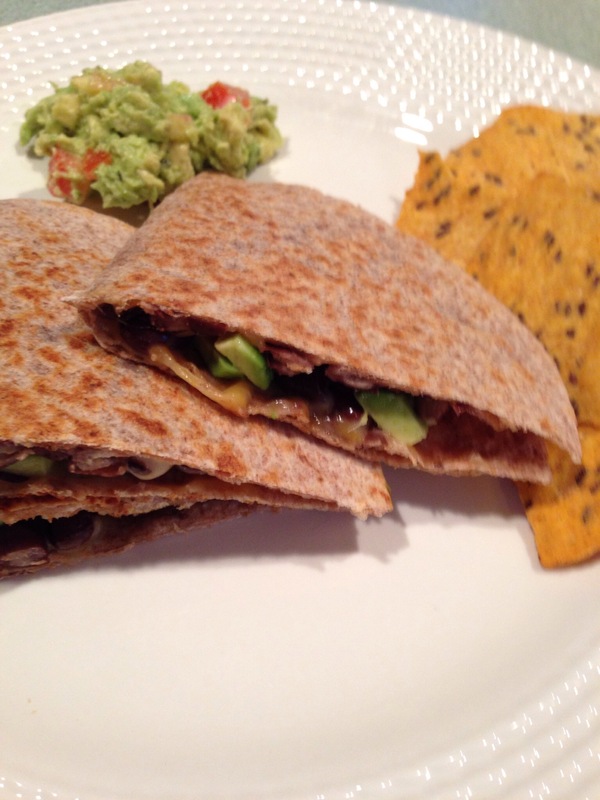 Monday-Black bean quesadilla with avacado. Happy meatless Monday! I’m not a vegetarian but do enjoy eating vegetarian meals occasionally. 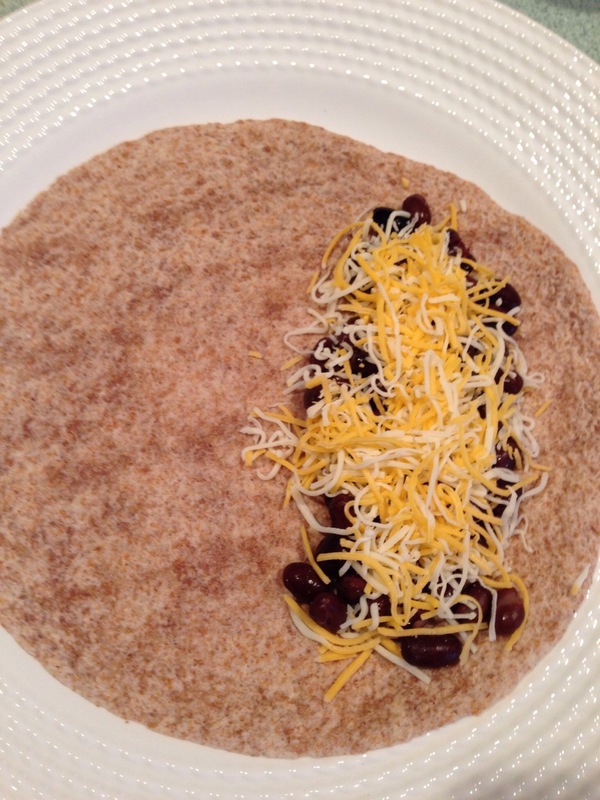 This is another very easy meal! Didn’t follow a receipe, but for people who still like steps, here they are! 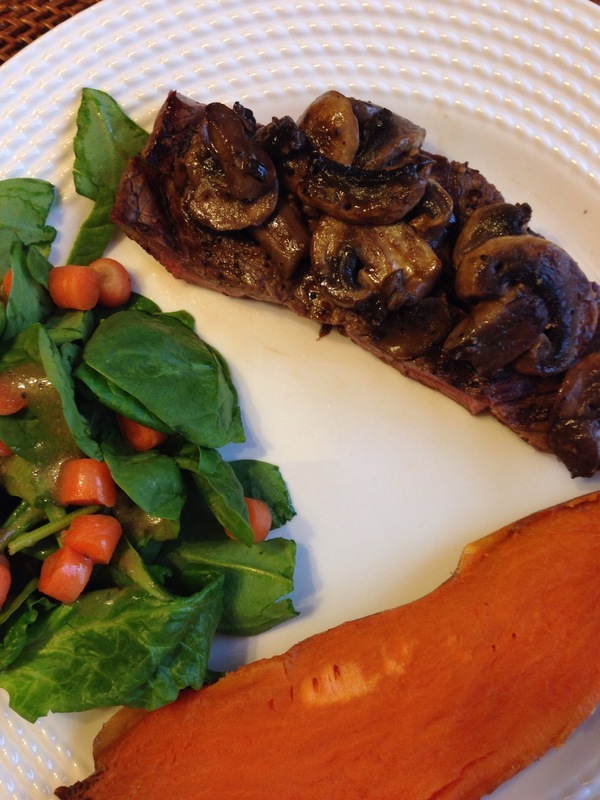 Tuesday– Grilled sirloin steak topped with mushrooms with baked sweet potato and a spinach side salad. 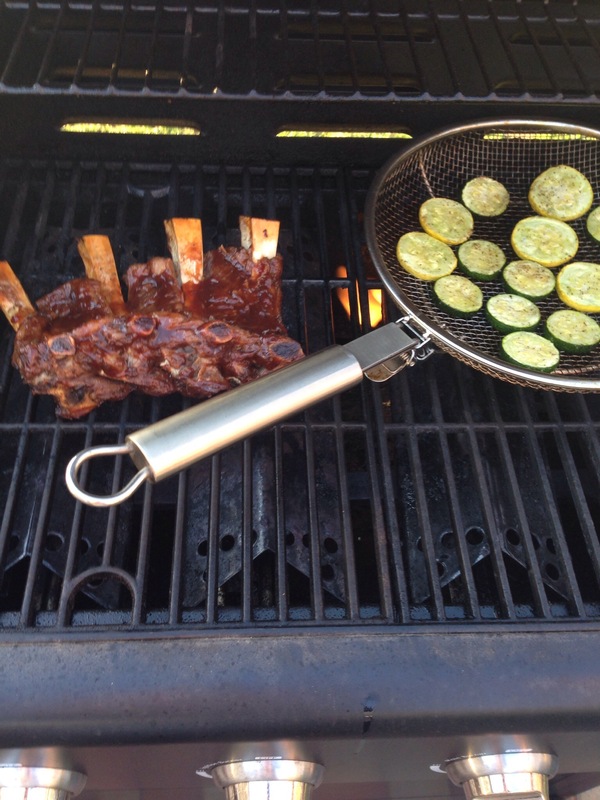 My husband is in charge of the grill, so I can’t help you with how long or on what tempature the steak was cooked. But I can tell you we used the left over mushrooms from last week’s chicken and mushroom risotto. To cook the mushrooms, I melted one tablespoon of butter in a frying pan and cooked the mushrooms for about 8-10 mins until soft and tender. 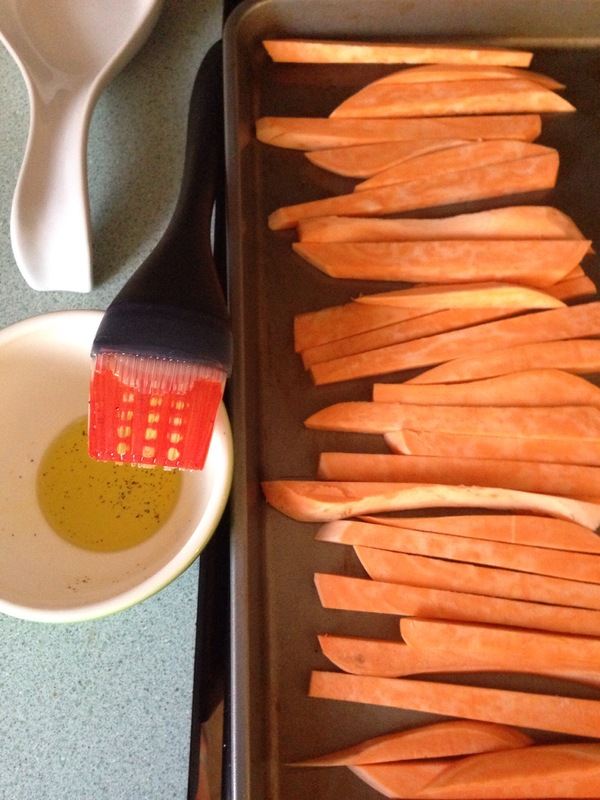 The sweet potato was baked at 425 degeres; don’t forgot to poke holes in it! 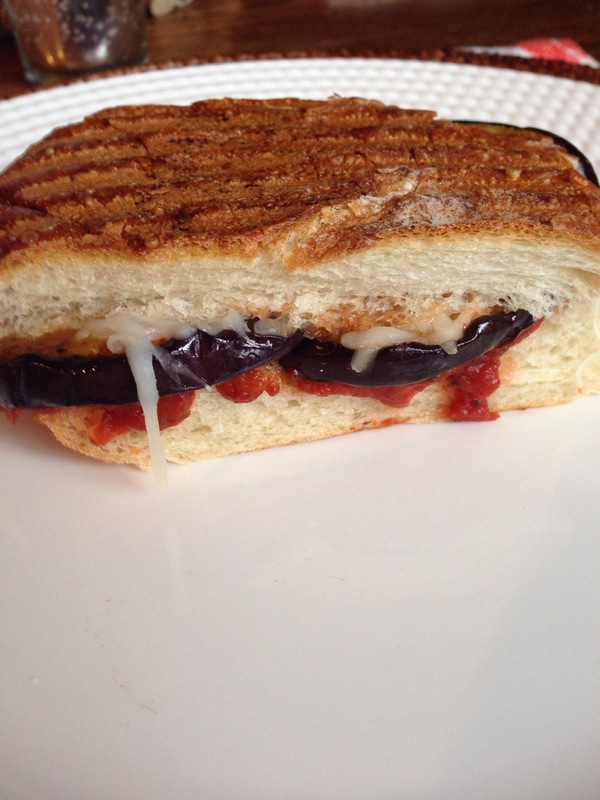 Wednesday– Eggplant panini. I used the leftover sourdough bread from last week for another super easy dinner. And I’ll use the left over eggplant for another recipe this weekend. Whenever I buy eggplant (usually for eggplant parm), I have left overs and then don’t know what to do with it. If you have any good eggplant recipes, please comment! I would love to try something new! 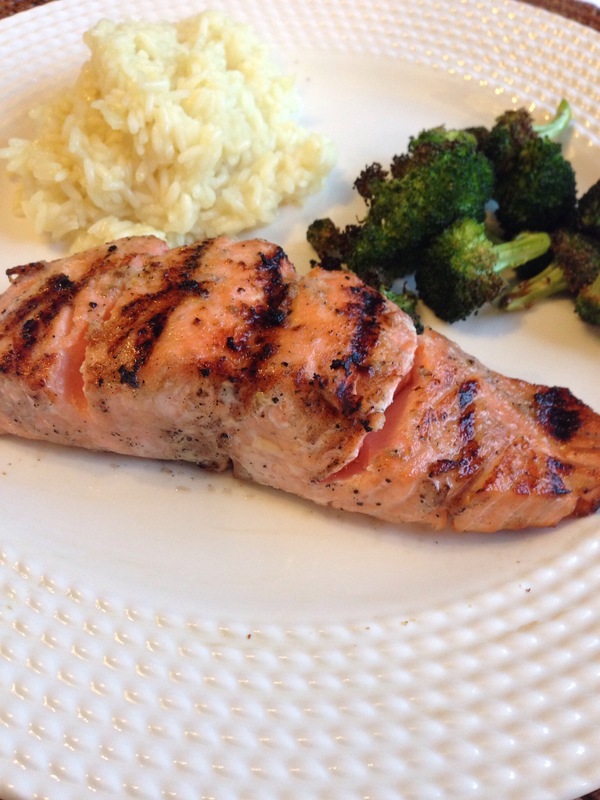 Thursday– Grilled salmon with broccoli and rice. I LOVE, LOVE grilling salmon. It tastes a million times better than cooking it in the oven. 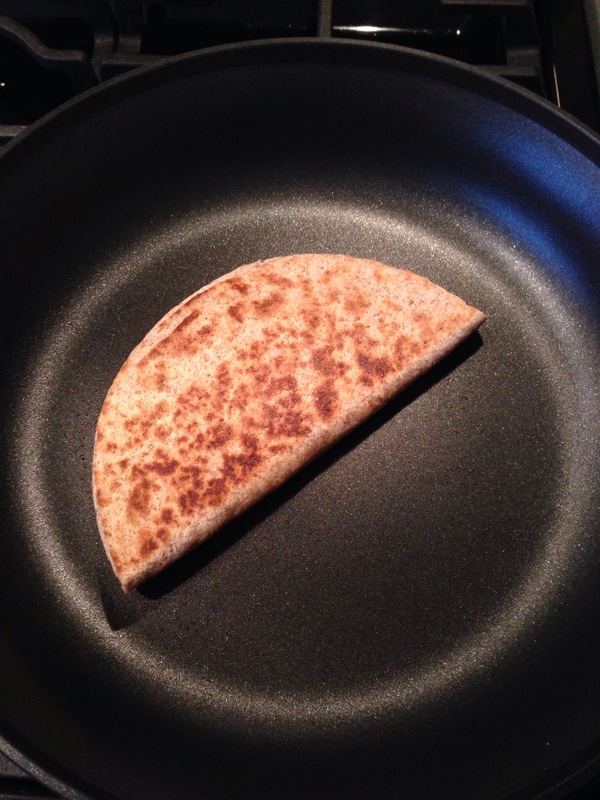 You barely need to season it (in my opinion) and it still tastes great! I want to get a wood plank to grill the salmon on in the future. Anybody know where I can buy one??? 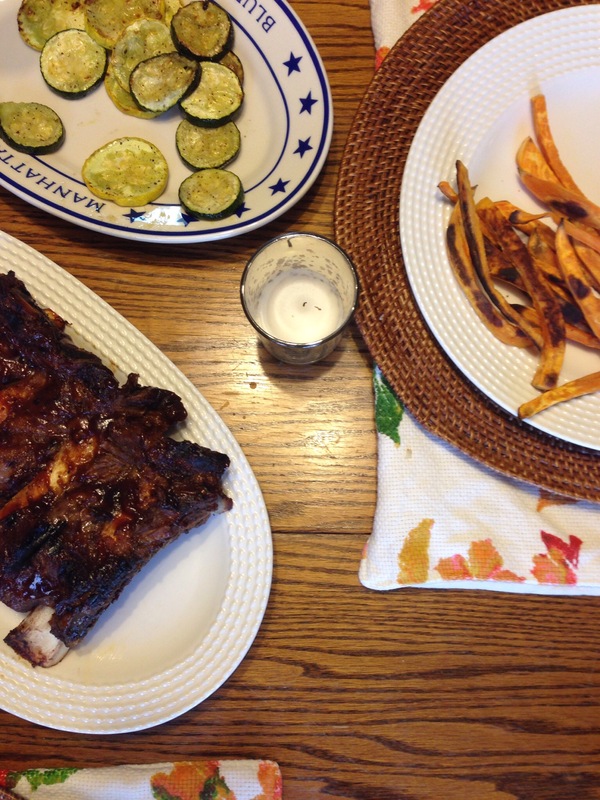 Friday– BBQ beef ribs with sweet potato fries and grilled zucchini and squash.